They say a craftsman is as good as his tools, and the same goes for makeup! It’s remarkable how much your makeup skills can improve by using the right brushes. Here’s how to differentiate between different brushes and our picks for essentials! A brush like this can help create an airbrushed finish to your foundation. Aim to get a brush that is dense and fluffy, and synthetic so it won’t soak up all of your foundation! Using a damp sponge to apply your foundation will leave you looking flawless! Blending is so seamless and the pointed end helps get the under eye perfectly. A tapered fluffy brush like this is perfect for setting the under eyes and rest of the face! 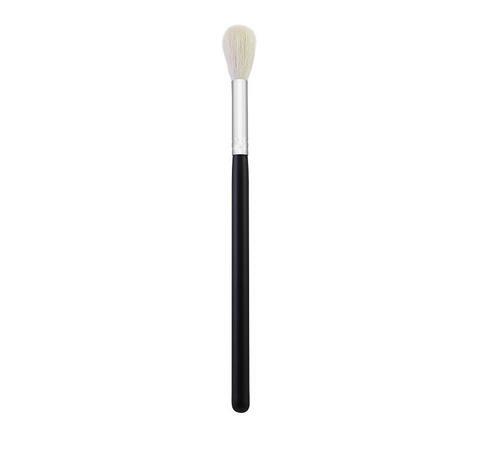 An firm angled brush like this gives you a precise contour and can also be used for blush. When it comes to highlighting you can either choose a wide fan brush or a small domed brush. It comes down to personal preference, but in the end either brush will leave you glowing! A fluffy tapered brush is the secret to blending! One like this is the perfect size to seamlessly blend the crease. This slim brush can be used in the crease to get more precision and detail. This dense brush is perfect for packing shadow on the lids. A small precise brush like this is perfect for highlighting the inner corner and brow bone. Finally, the brows and lips. This dense brush helps fill in the eyebrows with ease, plus it has a spoolie on the end to help blend in the product! This synthetic concealer brush helps carve out the brows and correct any mistakes! This pointed lip brush helps create a precise application that most applicators cannot get!